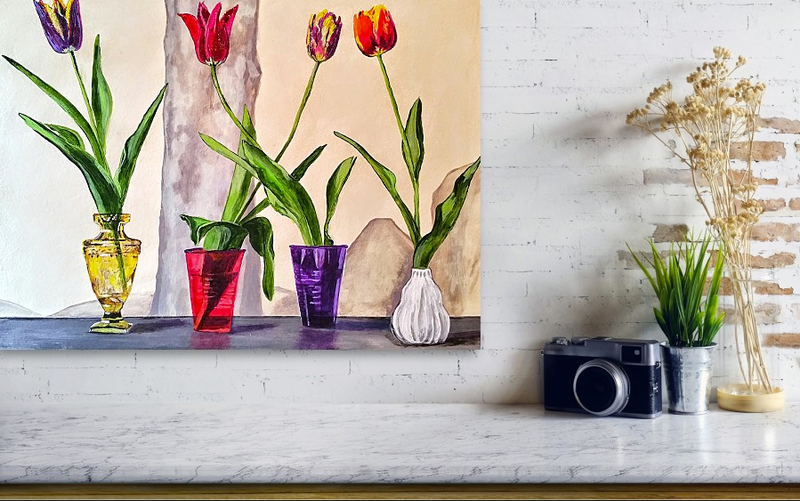 Inspired by a photo that a friend sent me, these tulips are painted in such a way to look like they're placed on a shelf in front of a painted wall. The tulips and their stems are done in a realistic fashion, but to me, the real stars of this painting are the holders. 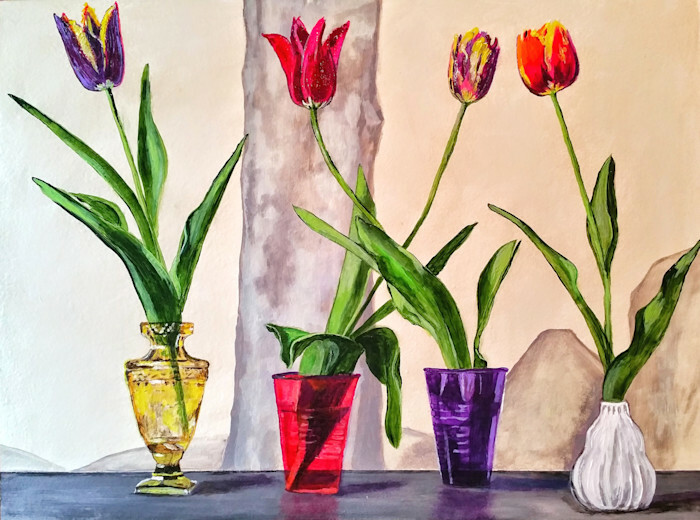 It was fun trying to paint the vases and cups in a realistic fashion as if you could just pick one up out of the painting and lift it off of the shelf. This painting is done on a 18x24 Masonite cradled panel. This painting is signed on the back.